Rosana Dias is a Staff Researcher in the Micro and Nanofabrication Department (Microfabrication and Exploratory Nanotechnology research group) at INL. Her expertise concerns the development of sensors and actuators to meet the technical challenges faced by society and industry. She has large experience in modelling, design, fabrication and testing of MEMS devices. Her research interests range from mechanical sensors (eg. acceleration and magnetic field sensing) to energy harvesting devices (piezoelectric AlN and EMF-based induction) and flexible substrate-based applications. She obtained her PhD in the MEMS area, focusing on pull-in time accelerometers, inclinometers and gas viscosity sensing, at the University of Minho. Rosana has spent several months as a visitor at the Delft University of Technology and the University of British Columbia. 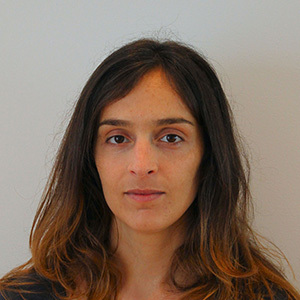 She has also been the main responsible, as a post-doctoral researcher, for the design of a MEMS magnetometer for space applications, within an European Space Agency project.